I love you. I know you know that, but I feel it’s important to explicitly reaffirm it from time to time. Where do I begin? I don’t quite know, but there is so much in me that I want to express to you, so you’ll know exactly what’s in my heart. First, I cannot express how truly lucky and blessed I am to have had you as my brother and best friend my entire life. My dear twin. My brother. My other half. Despite the fact that we are fraternal and, therefore, only share 50% of our DNA, we couldn’t be closer in every other way. We shared the same space for nine months. We were glued at each other’s hip growing up, involved in many years of Little League, Boy Scouts, and Pop Warner football together. Where one of us went, the other was only steps behind. What one of us did, the other was sure to follow. You were my security blanket in school because I knew I was never alone. My shyness kept me from freely making new friends, but with you by my side I didn’t feel compelled to. I cannot thank you enough for that, Brother. When we came of age and gained some independence from Mom and Dad, boy, did we take advantage of it! We did many mischievous things during our identity-formation years as teens, but then you scaled back and managed to figure things out before life got out of control; on the other hand, I was a bit more hard headed. 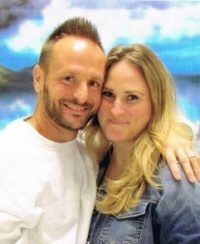 Even though I wound up in prison at 19, you didn’t condemn me, make me feel less than you; instead, you were there to visit me every chance you got. You were always quick to put money on my books, answer my expensive collect calls, and even sat down many a night to write me letters (Lord knows you dreaded that!). You sacrificed so much to ensure that your twin was okay in this dreaded situation. When I got out at 22 you were there with Dad to pick me up. Our three-year separation had taken a toll on the both of us, but now we were reunited and vowed to never be separated like that again. You took me everywhere I needed to go (treatment meetings, parole officer’s, dentist and doctor appointments), despite the fact you worked hard and had your own obligations. If there was ever a way to repay you for your tremendous generosity, I would have done it. But then again, you would never accept anything from me because you saw yourself doing what any twin brother would do for his other half. This is just another testament to how blessed I am to have you as my brother, my best friend, my other half. Then I put you in the worst situation one could have that fateful night in 2003. I disregarded your life when I ignored your dire warnings to slow down; instead I defiantly sped up and recklessly crashed. Thank God you were not injured. I don’t know how I could have lived with myself had I hurt you – or worse. The thought itself makes my stomach churn. Now I have put you in this horrid situation once again: collect calls, visits, letters and birthday cards through the mail. Saying I’m sorry does even come close to the level of remorse and regret I have for not living up to my vow to never separate us again. Yet, staying true to form, you never held it against me or made me feel worse than I already felt when this happened — that’s not who you are. Having said that, I still can’t help but live with great disappointment for letting you down; for subjecting you to this life of supporting your brother behind bars. But you are not one to complain. You haven’t in the now 15 years you have been in my corner. Words are simply incapable of adequately conveying my immense gratitude toward you. Twin Brother, I could not have a stronger bond with another human being on this planet. You have been my best friend and role model for many years. I have always admired you for so many reasons – both growing up and now at 39 years old; but not even this can compare to how much I love and appreciate you. Thank you for never giving up on me, supporting me unwaveringly through my darkest hours, and showing me what unconditional love looks like. I love you. what a moving tribute to your twin brother.